This beautiful lakefront property has everything to offer. Whether you are looking for a year-round home or an amazing summer retreat, this is your place! The open floor plan includes a large living space with the dining room and kitchen. A first floor master, full bath/laundry room and incredible four seasons sun-room complete the first floor. Upstairs host two separate spaces that could easily be made into 2 for more rooms. The incredible patio/seawall make for stunning westerly/panoramic sunset views. 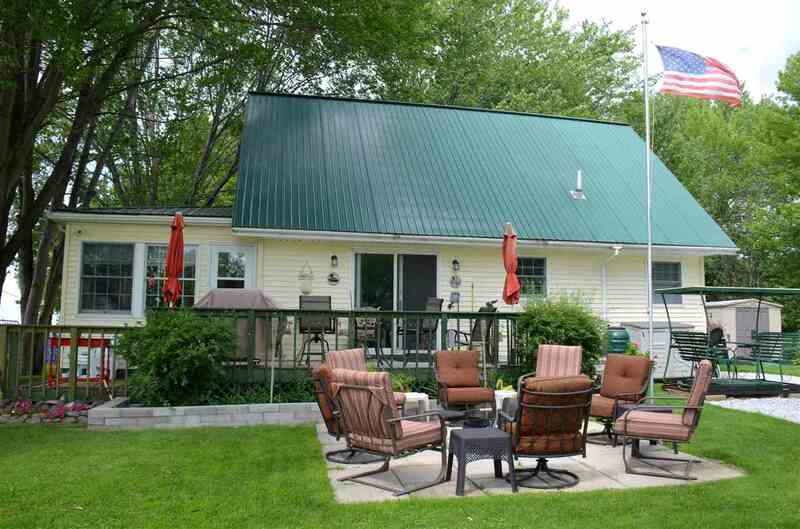 Two sheds, mature landscaping, fire pit, stone sidewalk, deck and ample storage make this the perfect lakefront property!